More than 20 new, permanent jobs could be created at a local contact centre if an initial short-term contract with a new client proves to be successful. 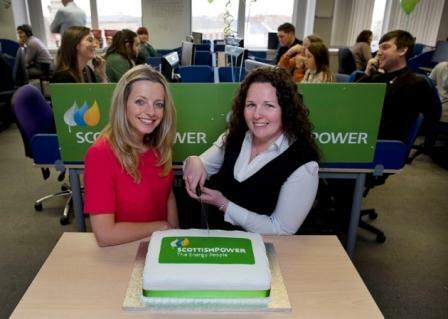 KC Contact Centres, part of local communications provider KC, has won a three-month contract with energy giant ScottishPower that could result in a longer term partnership. The contract, which began last week, will see KC Contact Centres employees supporting ScottishPower’s gas and electricity sales business across the UK. More than 20 people have been employed on a temporary basis to fulfil the contract and it is hoped that these will turn into permanent roles after the initial three-month period ends. Director of KC Contact Centres, Anita Pace, said: “ScottishPower is one of the UK’s largest energy providers and we’re delighted to be working with them to help them achieve their growth ambitions. KC Contact Centres holds the Customer Contact Association Global Standard for quality service. It is also ranked amongst the top 25 of the UK’s 6,000-plus call centres for customer service and in the top five public sector call centres; Its customers include Network Rail, bathroom retailer Victoria Plumb and a range of local and central government organisations. Be the first to comment on "Contract with Scottish Power creates new jobs at KC Contact Centres"